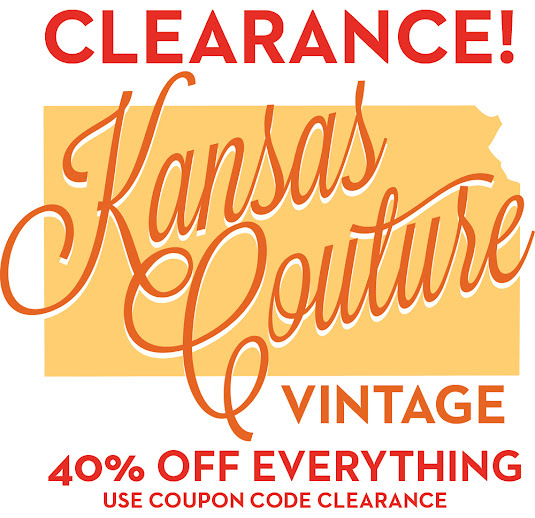 I'm looking to clear out my Kansas Couture Vintage inventory, so EVERYTHING is 40% OFF with coupon code CLEARANCE. The sale will run for one week only, and any remaining items will be removed. The shop will relaunch soon with more of a boutique feel! I can't wait to share it with you. Until then, get some amazing deals on cute vintage!